Born in Sydney in 1957, Walker did an Art Diploma at the Alexander Mackie College, Sydney. He has exhibited annually since 1979 with regular solo exhibitions at Utopia Art in Sydney since 1989 and four solo shows at the Austral Gallery in St Louis, USA. His work has been seen in numerous major group shows and is represented in most major public and private collections in Australia. This is his third time as an Archibald finalist. 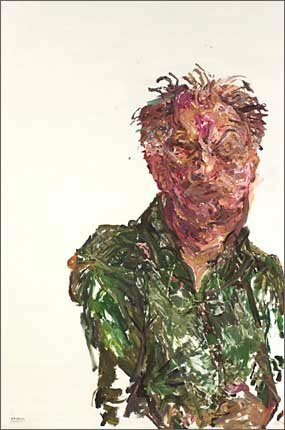 In 2001 he was a finalist in the Archibald, Wynne and Sulman Prizes. Last year he was in the Wynne, Sulman and the Salon des Refuses.